Astronomers have just completed another observation of New Horizons’ next flyby target, Ultima Thule (aka 2014 MU69), pass in front of a distant star (a stellar occultation), on Aug. 3-4, 2018. This is the third such occultation observed and the data gathered will help the mission team to prepare for the encounter, which is scheduled for Jan. 1, 2019. The data taken during the occultation will provide astronomers with more information about the size, shape and environment of Ultima Thule, which is a small Kuiper Belt Object (KBO) far beyond Pluto. 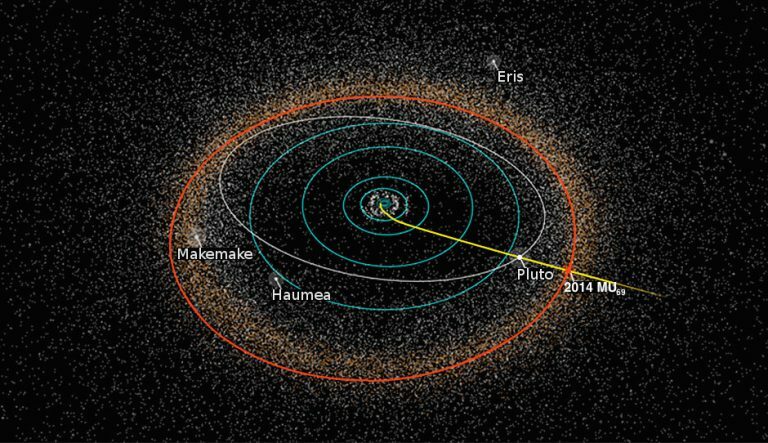 Very little is known about it so far since it is so far away, but New Horizons will conduct a close flyby, even closer than when it flew past Pluto. 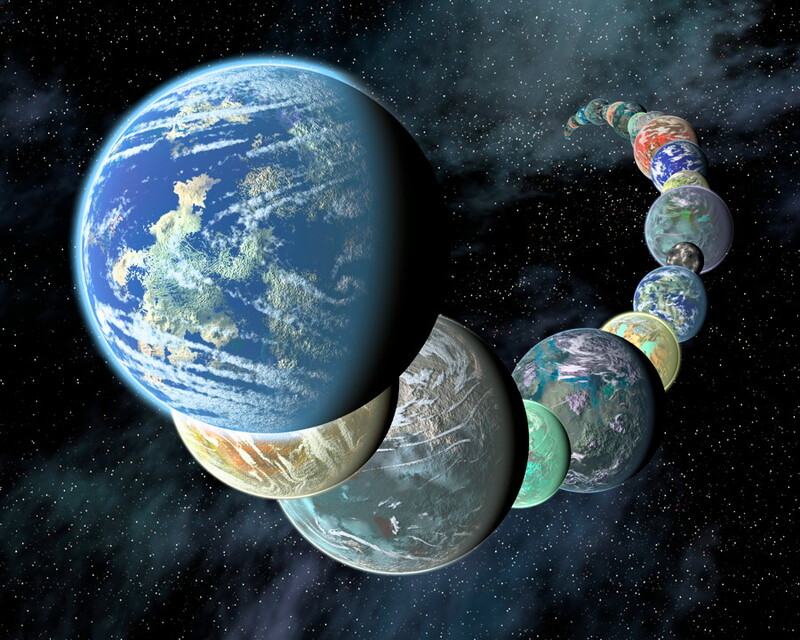 At 6.5 billion kilometres (4 billion miles) from Earth, it will be the most distant object ever explored so far. Observing an occultation with an object so small and distant as Ultima Thule is not easy. “This occultation will give us hints about what to expect at Ultima Thule and help us refine our flyby plans,” Buie added. These were the final occultation observations before the flyby next January. 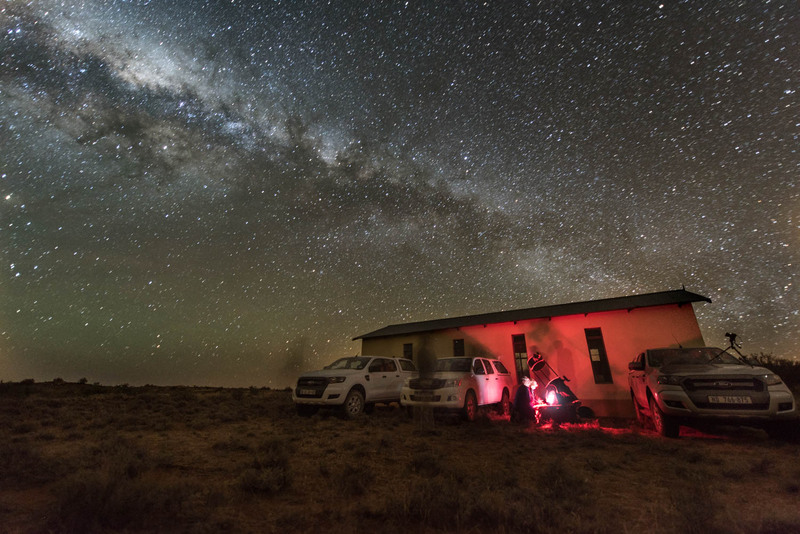 The teams had to travel to remote locations while carrying sensitive equipment. Every detail of the observation needed to be rehearsed in advance, in order to adapt to various weather conditions. You can see a time-lapse video of the Senegal practice session from Aug. 1, 2018 on Twitter. A previous observation attempt in 2017 was also very successful. 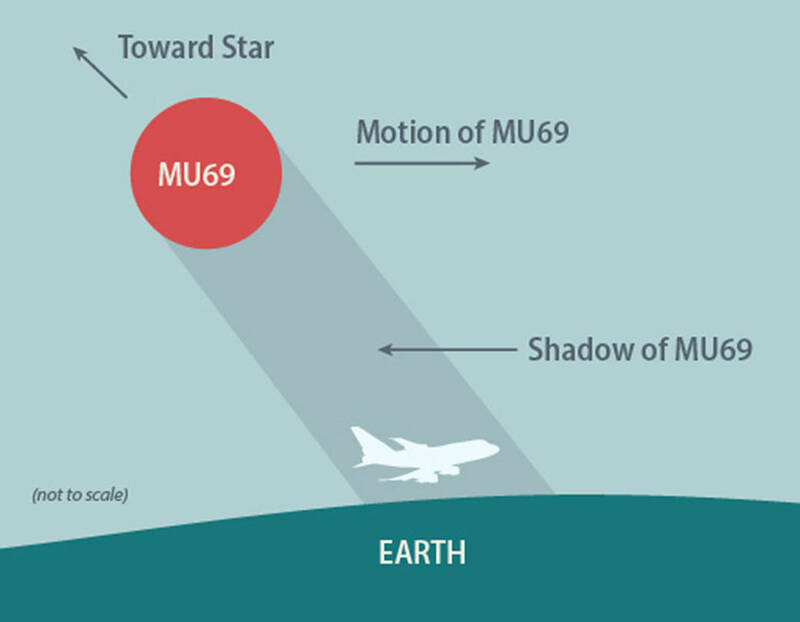 The New Horizons team used data from both the Hubble Space Telescope and European Space Agency’s Gaia satellite to calculate where MU69 would cast a shadow on Earth’s surface as it passed in front of another star. The occultation was seen by NASA’s Stratospheric Observatory for Infrared Astronomy (SOFIA). This followed a similar observation by SOFIA in late June 2015. “There are differences that make SOFIA’s observations for the MU69 flyby more difficult than those done in support of the Pluto flyby,” said NASA. Ultima Thule is a tiny world, only maybe 20 miles across, and New Horizons will fly past it at a much closer distance than it did Pluto – only about 1,900 miles (3,000 kilometers) from the surface. 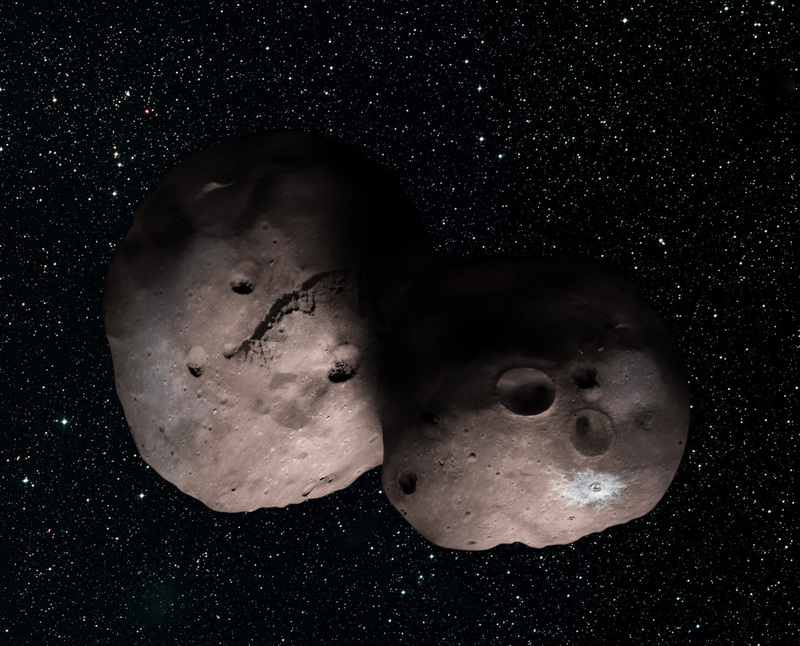 Not much is known about it yet, but there is some evidence that it could resemble Comet 67P or be an “extreme prolate spheroid,” like a skinny football, or even a close binary pair, where two bodies are orbiting very close together or even touching, or perhaps a single body with a large chunk taken out of it. The size of MU69 can also be determined. It appears to be no more than 20 miles (30 kilometers) long, or, if a binary, each body about 9-12 miles (15-20 kilometers) in diameter. It was also recently reported that Ultima Thule may have a moon. The size of MU69 or its components also can be determined from these data. It appears to be no more than 20 miles (30 kilometers) long, or, if a binary, each about 15-20 kilometres (9-12 miles) in diameter. Later this month, New Horizons will begin making distant observations of Ultima Thule; the images that will help the team refine the spacecraft’s course for the flyby next January. With the New Horizons flyby only a few months away now, still not much is known about Ultima Thule, but stellar occultations like this most recent one are providing valuable clues.